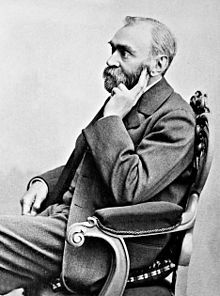 Sraith duaiseanna is ea iad Duaiseanna Nobel a bhunaigh cruthaitheoir na dínimíte, Alfred Nobel. Tugtar airgead mar chuid den duais do dhaoine a chuir an taighde nó an tsochaí chun cinn ar bhealach ar leith. Bhí siad Éireannacha a bhuaigh siad an Duais Nobel ó 1901. Tugadh an leathanach seo cothrom le dáta an 4 Deireadh Fómhair 2016 ag 23:20.